and I have one more Graduation card to share today! There are so many sweet grads in my life to celebrate this season! For my card, I have used the Alphabet Dies, Flag Dies, Card Mat Dies, and School Time Greetings on this one and I just love how it turned out!!! 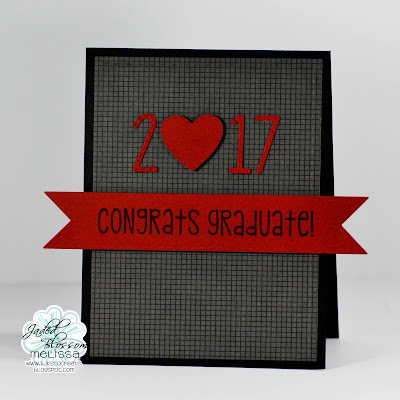 And this is a design using the Alphabet Dies that will be easy to use year after year! I hope you will share all your graduation cards and gifts with us in the Garden of Creativity.